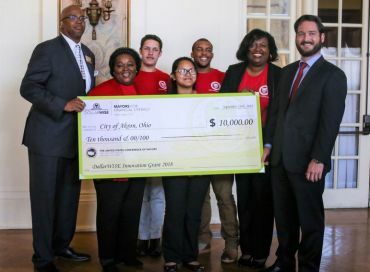 We are excited to announce that the Mayor’s Youth Leadership Council (MYLC), is the recipient of the U.S. Conference of Mayor’s DollarWise Innovative Financial Literacy grant. 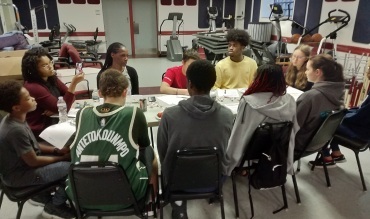 Since 2015, our teen members have accepted the challenge to lead high school students through lessons about budgeting, credit cards, and financial aid through their “Teens and Money” financial literacy workshops. CONGRATULATIONS!! 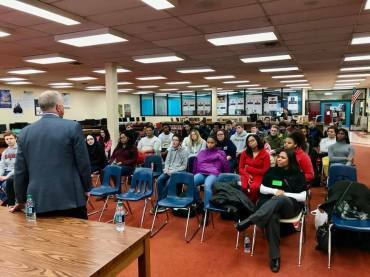 Mayor Horrigan is dedicated to providing teenagers with opportunities to become active partners in keeping the city of Akron a viable and safe place to live.He meets regularly with students throughout the year to hear concerns on issues affecting them and to discuss problem-solving ideas on how to keep Akron a welcoming city. 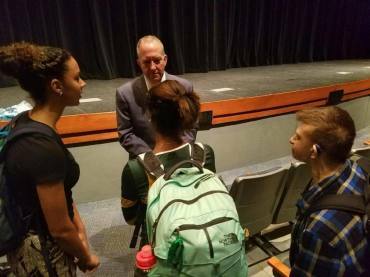 In order to accomplish this goal, it is imperative that our young citizens understand how local government, law enforcement, and community organizations work with residents to reach this goal.